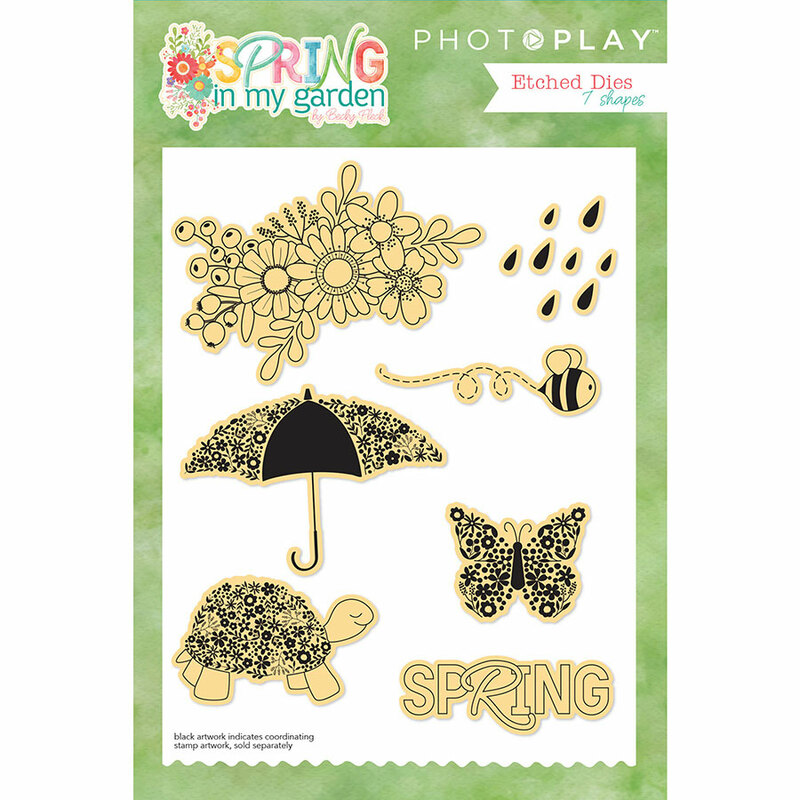 This package contains seven (7) Designer Etched Dies that coordinate with the Spring In My Garden Collection. Really . . you can use them for anything Spring. Part of the Spring In My Garden Collection by PhotoPlay Papers. Look for other coordinating papers & products.